Hello, friends! 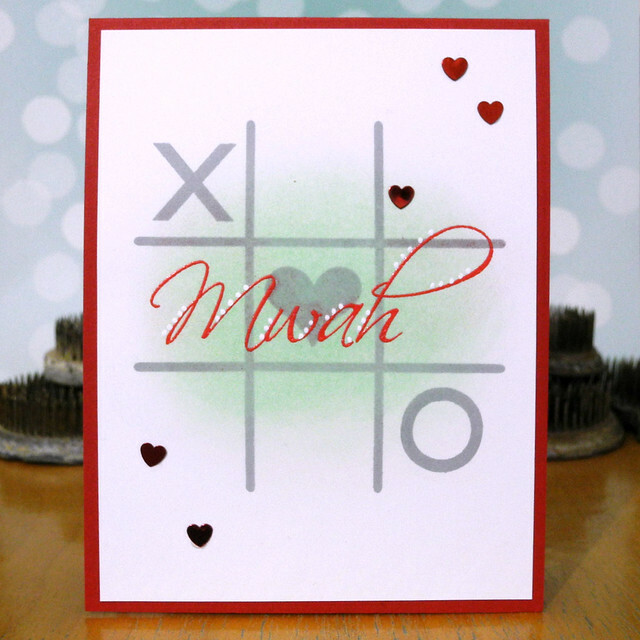 I have a super fun lovey dovey card today featuring some favorites from CAS-ual Fridays Stamps! BUT... before we get there, did you know they are having a sale? 'Cause they are. And you should totally go check it out. For REALS. It's the Ten Things We Love Sale. And, well, we love these things, so you should, too. You will. You DO! Good talk. And I just so happened to use one of those great sale sets on my card today. HEY! Isn't that fancy and convenient and stuff?! Yup. Totes. I stamped the grey tic tac toe board first. I then stamped and embossed the sentiment in red embossing powder. I blended some mint ink onto it for a pop of color and then added a few white dots to give the font even more pizzazz. Because: pizzazz. AWESOME!!! LOVE your design - so fun and cute!!! So fun Jennifer. I love your white highlight dots.